I just got to tip my hat to the Montreal Canadiens (How could you not?) after taking down the Washington Capitals in 7 games. Sure, the Caps outshot the Habs and Halak was out of this world in between the pipes… but really, who thought after being down 3-1 heading back to Ovechkin Land that the Canadiens had any chance at all? Not me. If anyone tells you that they did, they are full of it. The only people who knew they had a chance were the players themselves. That’s why you have to be impressed with this team. Where they go from here, who knows? But you got to tip your hat to the Habs. As for the Caps, well… it all comes crashing down. A great regular season, the second best player in the NHL (That’s right, I said second), and the President’s Trophy winners. What did it get you? Nothing. Why? Big time players play big in the big games. Yours simply did not. Now that the first round is over, I’ll give you my take on the second round of the playoffs. 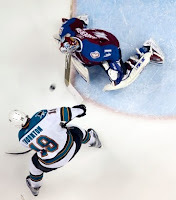 San Jose had a big wake up call early in their series against the Colorado Avalanche. There’s no questioning that. However, they found a way to snap out of their historic playoff funk that they have been known for. Could this finally be their year? No so fast! Detroit, who struggled mightily against the Phoenix Coyotes, still find a way to drum up some of that magic (much to my displeasure). When it’s needed most, they usually get the job done. However, I’ll take San Jose in 6. The Blackhawks were very fortunate in that Nashville series and they just managed to escape. If not for Nashville’s indescribable meltdown in Game 5, Chicago might be on vacation already. That being said, a rematch with the Canucks who lost to the Blackhawks last year in the playoffs should be very interesting. Vancouver showed some great comeback ability in taking care of Los Angeles and they got great goaltending from Roberto Luongo (Finally). This will be a tough one, but I’m leaning towards the ‘Hawks in 7. This one could go either way. 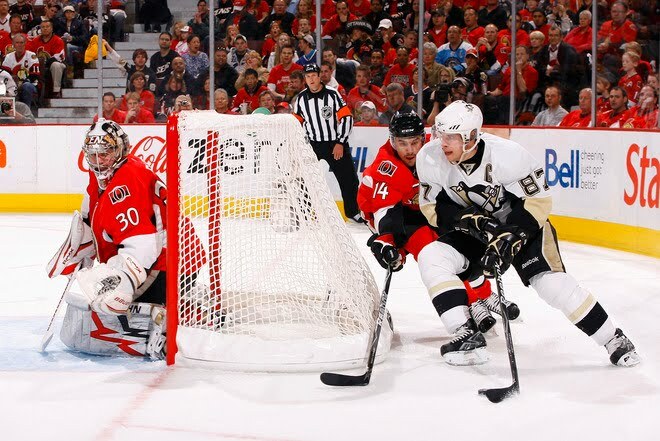 The Penguins proved they are in it for the long haul by taking care of the Ottawa Senators in 6 games (with neither Crosby or Malkin involved in the offense in Game 6). That is not good news for the rest of the league as Sidney Crosby has once again showed the way for the Penguins with 14 points in 6 games. Can they repeat? They sure can. As for the Canadiens, how’s this for fun? First you have to slay Goliath in round one, and then you have to slay King Kong in round two. 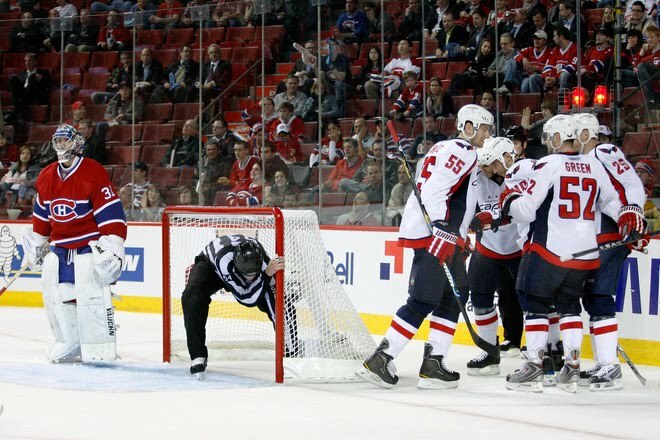 The Habs took down the Caps with a tight and stingy defense that gave up a lot- and I mean a lot of shots. Halak was marvelous in nets, but I don’t believe they will get away with this two series in a row. Something has to change in order for them to win. Pittsburgh in 6. The Boston Bruins beat the Buffalo Sabres in 6 games. I didn’t believe they could do it, but they did (shows what I know). They did it by playing tough and hardnosed hockey with solid goaltending by Tukka Rask (He outplayed Miller). Marc Savard is now skating and he could be in play for the Bruins in the next round! It would help for sure. Now, onto the Flyers who are well rested after embarrassing the New Jersey Devils in 5 games. However, they are a very wounded hockey team. 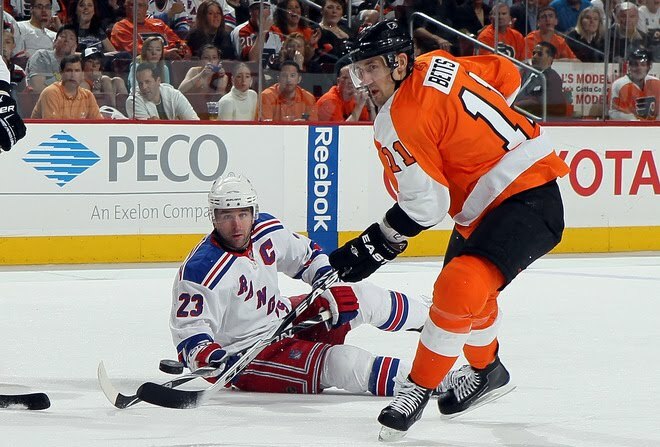 Jeff Carter, Simon Gagne, and Ian Laperriere are out for the Flyers. I’m not sure that I want to put my trust in Brian Boucher one more time. The Bruins will take this one in 7. Well, that’s it. Over and out! I can’t help but think, “If only the New York Rangers had managed, somehow, someway, to sneak into the playoffs this year”. Things might have looked up for the Blueshirts. Oh well, just a thought! I got to tip my hat to the overall performance by the teams that did make it. It’s been fast, physical, and damn fun to watch. The only negative that continues to be a problem is the inconsistency of the officiating. Sorry, I know it’s an old story, but I’m sticking to my guns on this. There has been too many soft calls and my only hope is that it doesn’t rear its ugly head and cost a team a critical game or series. The NHL has to take most of the blame for this, but I also think the NHLPA deserves some as well. With all that’s been done since the lockout to tinker with the game, I think its obvious to the fans and privately talked about by the players… just let them play! With that said, I still like the overall picture of how the playoffs have progressed and I am looking forward to more games. The Caps got an early wake up call, but Montreal blew a golden opportunity by losing Game 2 after having a 4-1 lead. Sorry, Habs. You had your chance and now the series is tilting in favor of the Capitals. Boy, oh boy! A shocker! Well, not really. The Flyers have dominated the Devils all season long and it’s continued so far in the playoffs. The Flyers are now up 3-1 in the series. Boucher over Marty? Who would have thunk it? The Flyers will not be without adversity though in Game 5, the early reports are that Jeff Carter and Simon Gagne will be out with injury. One thing Ryan Miller can’t do for the Sabres is score. 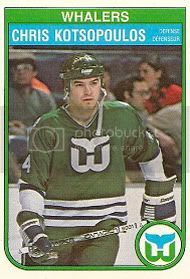 Losing Vanek to injury hurt them big time in the scoring department for Lindy Ruff’s team. Honestly, Boston has outplayed Buffalo in all 3 games so far and deserved to be leading this series. Plain and simple! Ah, the defending Stanley Cup champs. They had their attention span checked in a home loss to the Sens in Game 1. No question about that. Since then, Sidney Crosby has taken his game to a new universe. 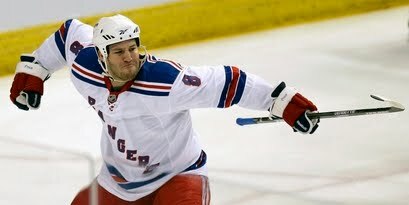 He is the best player in the world (Sorry Ovechkin fans). The Pens are now on a roll and look to close out the series at home in Game 5. Now, out West we go! The question in this series is will the Sharks even win in the playoffs? After the Dan Boyle debacle, the Sharks bounced back to even the series at 2 games a piece. But, I’ll tell ya, it hasn’t been easy and it won’t get any easier going forward. The Avs have been tough, especially with Craig Anderson in goal. This is another head scratcher. I thought that for sure Chicago would be ready for a serious run at Lord Stanley. My thoughts were that they gained valuable experience in last year’s playoffs. Oops! Wrong. Nashville has showed the hockey world that the Blackhawks might not be ready just yet. Stay tuned to this one! I’ll keep it simple on this one. 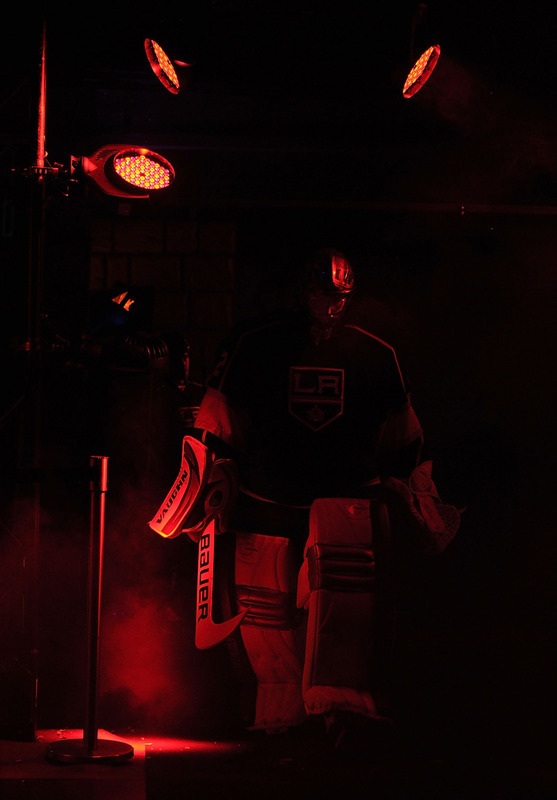 The Kings going in were my upset special in the playoffs. Vancouver, well… I believe in them when I see them win a big time series. They haven’t been able to do this yet, period. Give the Coyotes full compliments on a season that could have easily been a disaster. The series is now tied at 2 games a piece with the Wings. I, among others, would love to see the Coyotes move past the Red Wings and advance further into the playoffs. So, that’s it. Just a little run down on the playoffs thus far. As I said in the title: so far, so good! Over and out! First of all, I’m not a fan of a skills competition that decides games… let alone one that decides the playoffs. I just want to make that clear. 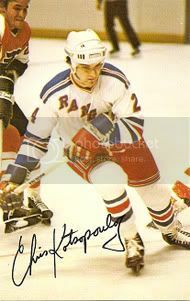 However, it’s no excuse for the New York Rangers (who lost in a shootout to the Philadelphia Flyers in the final game of the season). 82 games wasn’t enough. A 5-minute OT didn’t decide it. 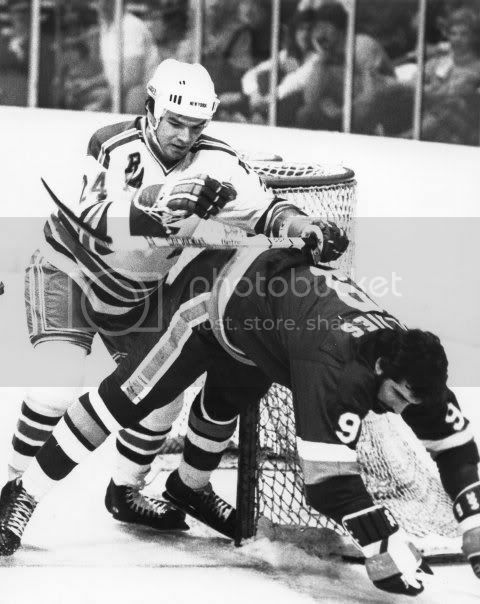 A circus act that the NHL instituted called a “Shootout” did. 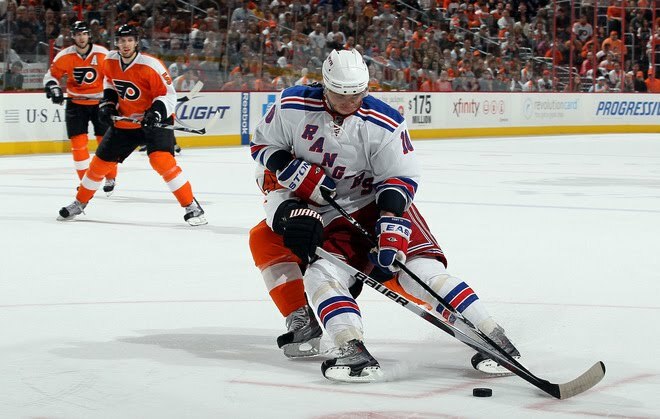 The Flyers were able to beat King Henrik Lundqvist twice in three attempts as the Rangers failed to match. The season is now over. Just like that. The Rangers, who battled like no other team down the stretch, put themselves into a winner takes all final regular season game. 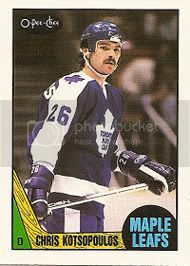 Unfortunately, they failed to take advantage of great goaltending by the King and timely scoring by Jody Shelley. Shelley’s goal gave the Rangers the lead that lasted until Matt Carle's PP goal in the 3rd period. The PP was brought about by a terrible interference call by Kerry Fraser on PA Parenteau. With all that was on the line and many fouls that were overlooked, you call interference there? Give me a break. For me it will be a little strange with no Rangers playoffs, but it is what it is. Over and out! After conquering the state of Florida (5-0 over Tampa, 4-1 over Florida), the New York Rangers have to be feeling very good amongst themselves. They did exactly what was needed and received some of the help that we knew was coming from the teams ahead of them (Although they got no help today from Detroit in Philly! Nice job, Dets!). The Blueshirts are sitting in the drivers seat, but they are not as comfortable as they would like to be. Never the less, they are in control of their own fate. A tough game in Buffalo on Tuesday is next up on the Rangers list. It will not be easy. 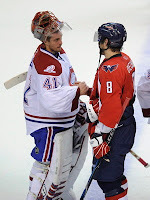 The game will pit against each other two of the best goaltenders in the world in a high profile game. The Rangers have to live in the moment and not get too far ahead of themselves. Trust me, they absolutely cannot look forward to the showdown with the Flyers just yet. They have to take care of the business at hand first. Nothing more, nothing less. A few tidbits and thoughts… how good has Lundqvist been for the Rangers? Outside of the soft goal he gave up in Toronto, his play has been what you would expect out of the King! Let’s hope that he continues to play well and leads this team into the playoffs. 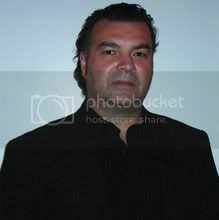 What about Jody Shelley, Brandon Prust, and Aaron Voros’ contributions lately? How good and clutch have they been? Also, if Chris Drury’s tying goal in New Jersey was the biggest goal of the season- where do we put Marc Staal’s goal against Florida? In my book, that was as big as any for the Rangers this year. No doubt! Over and out!